The Sexual Revolution—and the breakdown of the Family—has brought misery to millions. In The Sexual State Jennifer Roback Morse shows that the Sexual Revolution did not just “happen” like a force of nature. 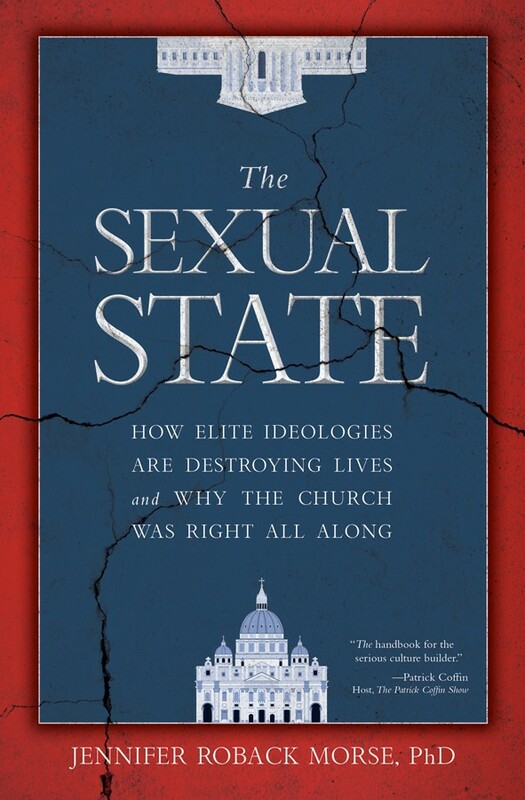 Rather, it was deliberately created by “elites,” harnessing the power of the State, allowing them inflict three false and calamitous ideologies—contraception, divorce, and gender—that have led to widespread and profound unhappiness, and worse. Social issues are unified and can be understood as the outgrowth of a few simple (but gravely flawed) principles. The Sexual Revolution hides its totalitarian objectives behind seemingly modest demands. 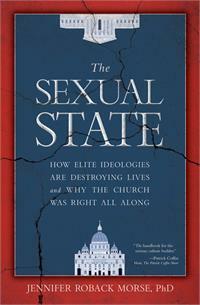 Social conservative ideas and traditional Catholic morality are getting clobbered. And the dirty secret that no one wants to acknowledge—until now!—is that the progressive social elites have rigged the system. Most people don’t love abortion, or divorce, or single-parent families! Thankfully, Dr. Morse, and the Catholic Church, have the answer. It is vital that those who would change the culture understand how we got there, otherwise, the countering tactics will remain impotent.